This is a post i've been meaning to do for so long, but its been put off and put off until we moved into our new flat and then I just knew that it needed to be done! Anyway, last Sunday me and Simon put on our grubby clothes, got the paint brushes out and we did it! As you can see from the above photos we transformed 2 rather dated tables into brand new white ones! 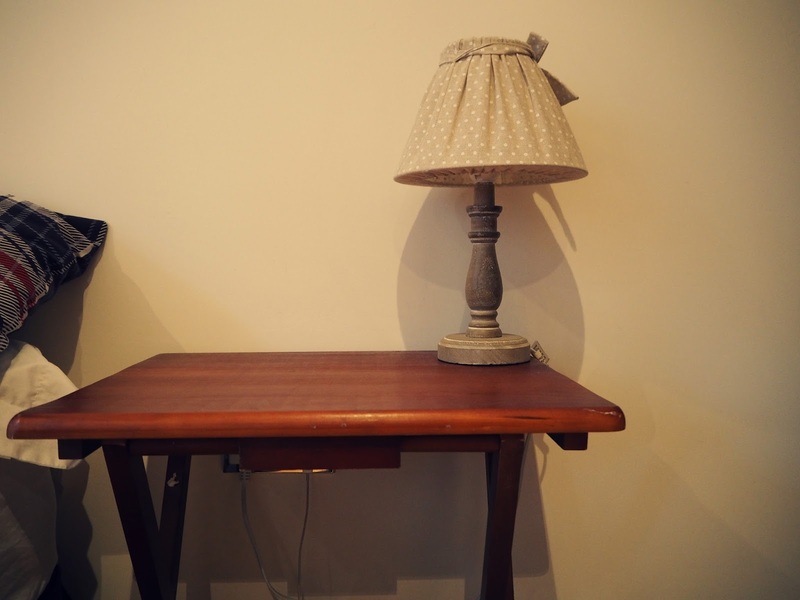 The bedside table is one we've had for a little while and was actually about to be thrown away before Simons parents donated it to us, however we've managed to completely revamp it and give it a whole new look! 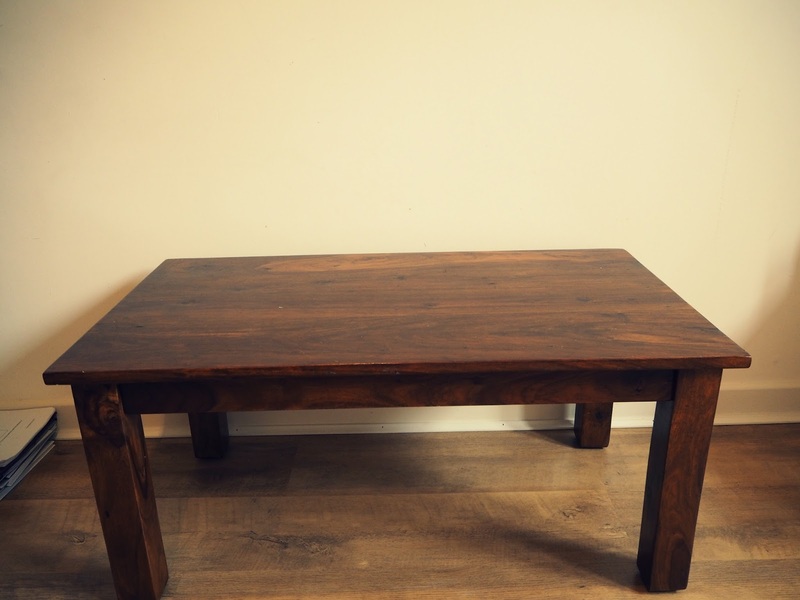 Same goes for the table, this was also kindly given to us by simons parents and was again just sitting in the attic collecting dust before we asked if we could have it. Im completely new to revamping furniture so to me this was a little bit of trial and error but it actually turned out so well. I love white furniture, I think it looks very modern and clean and also makes the decorations that I am currently obsessed with look amazing. Basically to do this all we did was sand down the wood of the furniture as it was originally varnished and painting straight onto it would have been extremely difficult. Once we managed to get the top coat of varnish off we painted it using a white emulsion paint, and gave this 2-3 coats ensuring it dried thoroughly between each coat. After it was dried and looked to be fully covered we then painted it with a Laura Ashley paint in an eggshell shade - this gave the tables a much softer look and made them look exactly how you want them. They now make our flat look completely different... very modern and exactly how i pictured them to be! Im super excited to do this again in the future and transform an older piece into something which looks new and completely transformed. 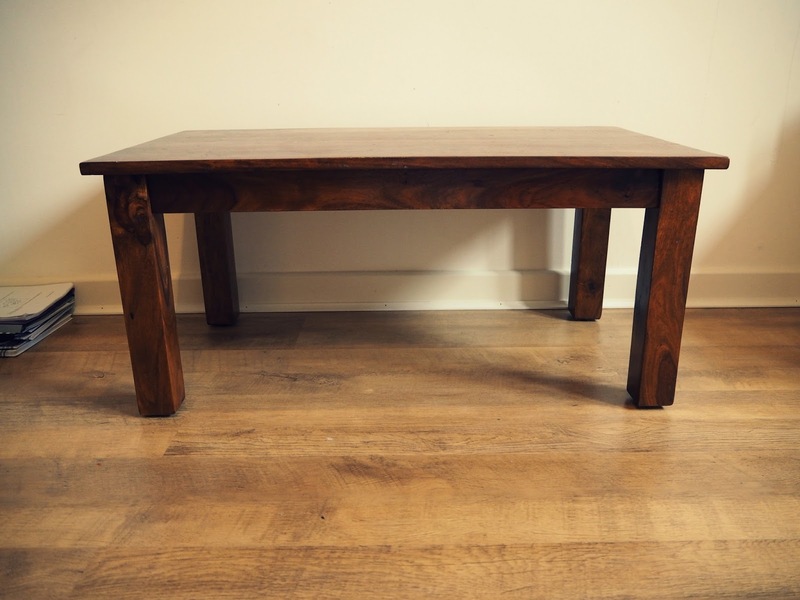 Its definitely worth giving a go if you are considering throwing away your furniture, just to see if you can save yourselves a few pennies and create a completely different look for something that you already own! !